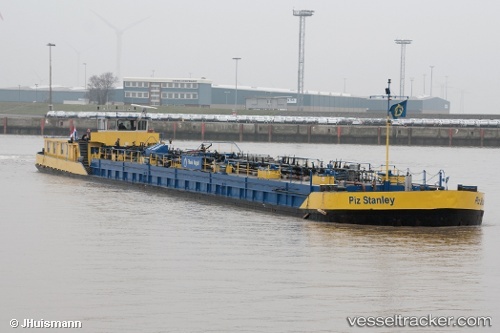 The "Stanley", carrying 1,100 tonnes of rapeseed oil, ran aground on the Easter Scheldt in the evening of May 8, 2014, almost at the same spot where the "Nitrico 2" grounded six weeks ago. It got stuck just before high water at the height of Stavenisse. The "Zephyrus" of Multraship in Terneuzen proceeded from Stavenisse. It managed to refloat the vessel and towed it into deep water where it was inspected. There was no leakage observed and the tanker towed to Wemeldinge by the "Zephyrus" and "Delta".